I realize that training for, or participating in an athletic event is a potentially hazardous activity. I should not train and/or participate unless I am medically able and properly conditioned. I agree to abide by any decisions of store staff relative to my ability to safely train or compete in an event. I assume all risks associated with training for, or participating in such events including but not limited to falls, contact with other participants, automobiles, spectators, inclement weather, traffic, and the conditions of the course. I understand that roads will not be closed, security will not be provided and I will be responsible for my own hydration, nutrition, and safety. All such things being known and appreciated by me, having read this waiver and knowing these facts and in consideration of accepting this application, I, my family member, and anyone acting on my behalf, waive and release On The Run, LLC (Naperville Running Company), its officers and directors from all claims or liabilities of any kind arising out of my participation in such events, even though that liability may arise out of any alleged or unintended negligence or carelessness on the part of the persons or entities named above. Join us April 23rd at 6:30 PM for our Reebok Ragnar Speed Session. This run will follow our usual speed session format with Coach Caroline. 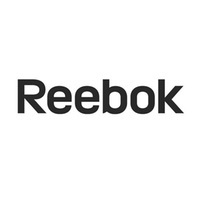 We will do a fun group workout at our South Naperville Location and you'll have the opportunity to wear test some Reebok shoes and win some prizes!